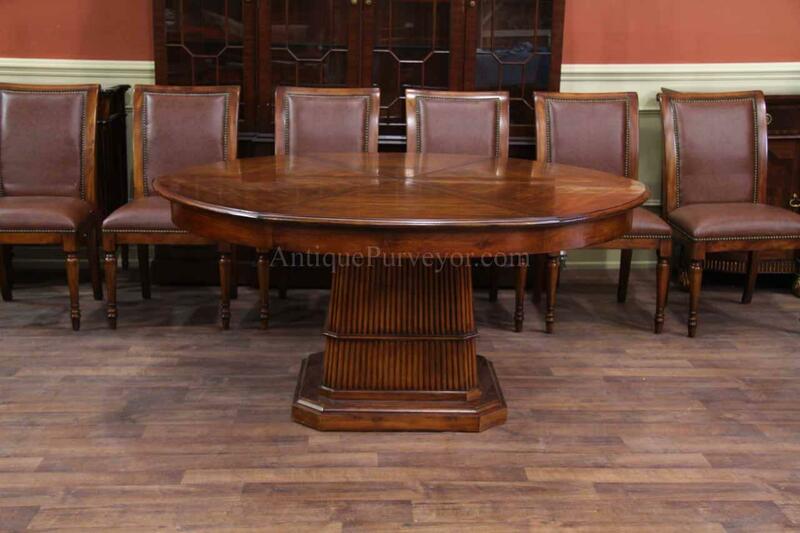 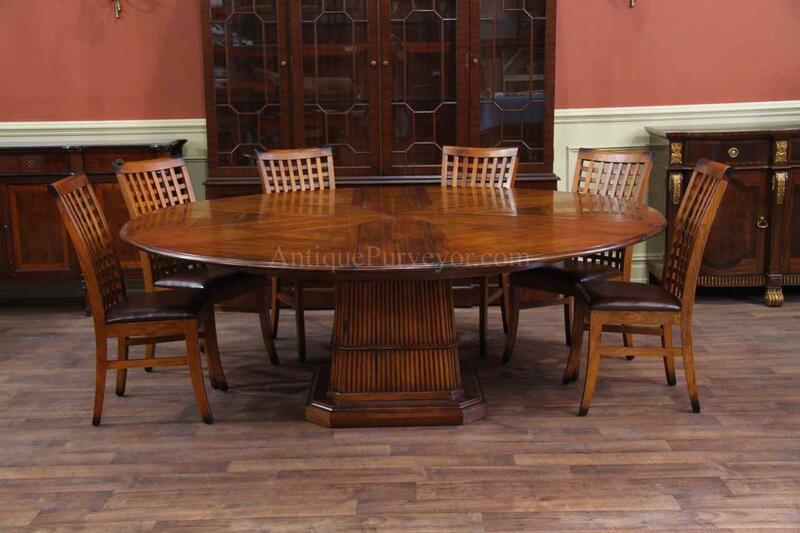 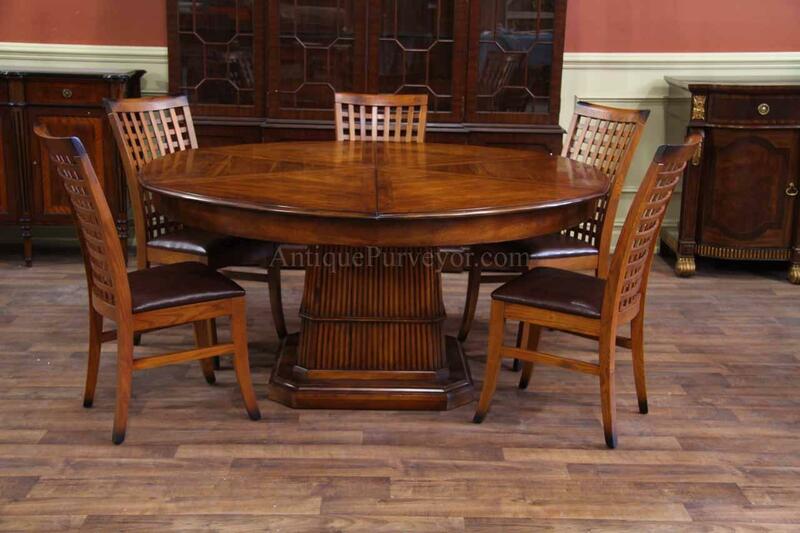 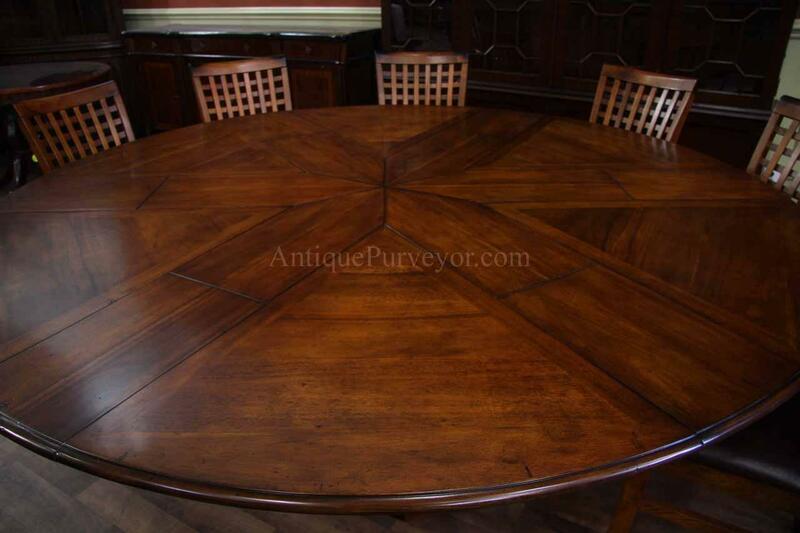 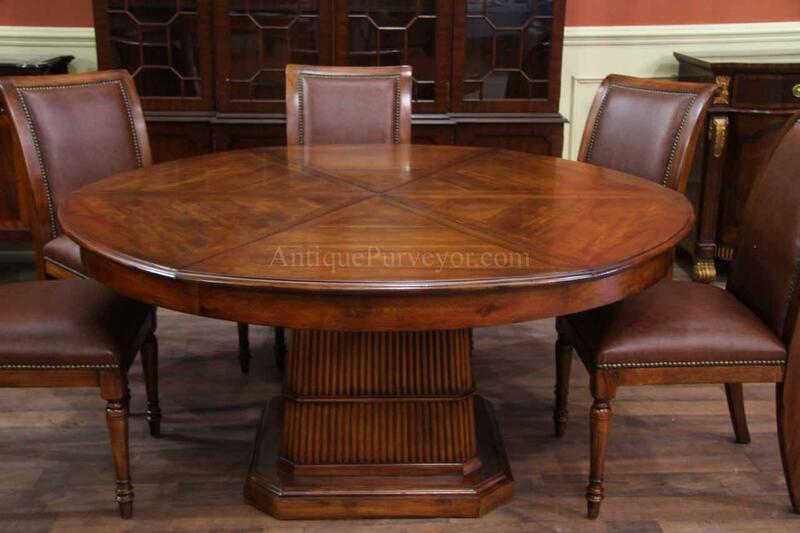 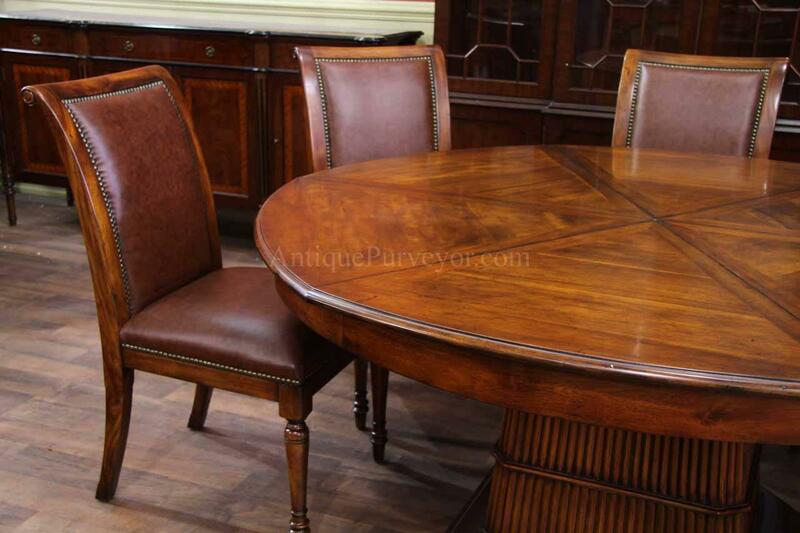 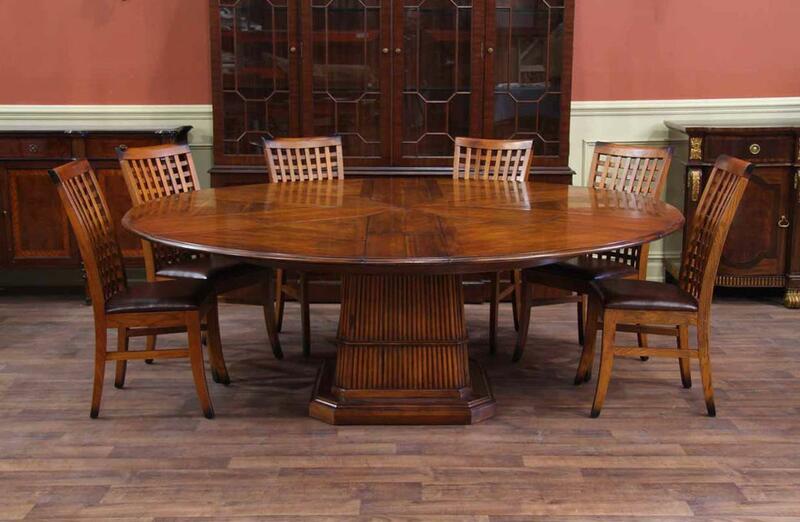 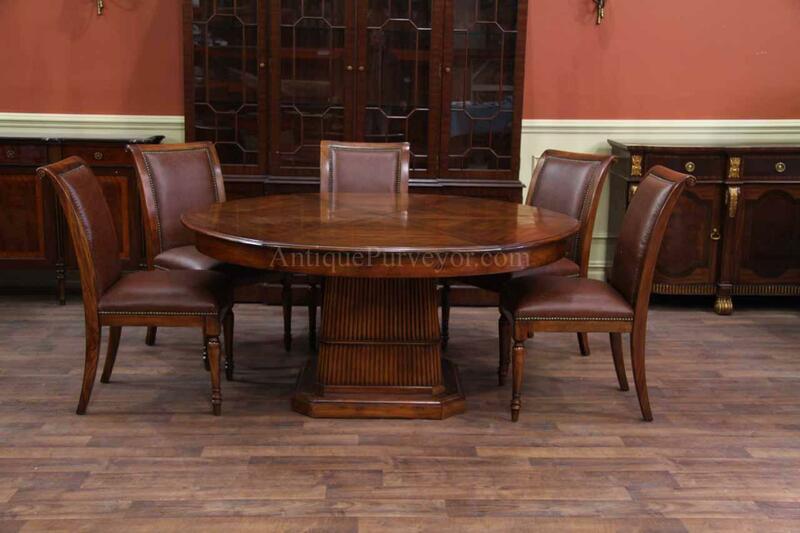 Description: High end solid walnut expandable dining room table. 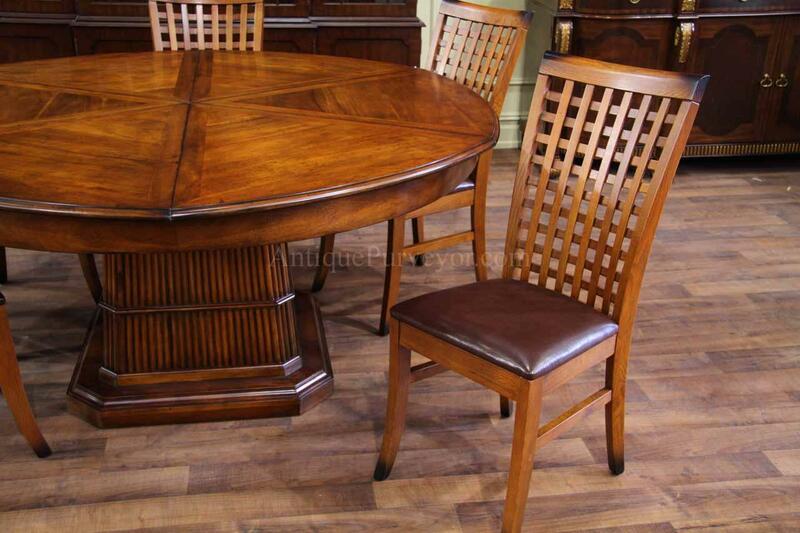 Can be used from 66 inches to 84 inches round and can seat 6-10 persons. Smooth operating leaves and solid table. 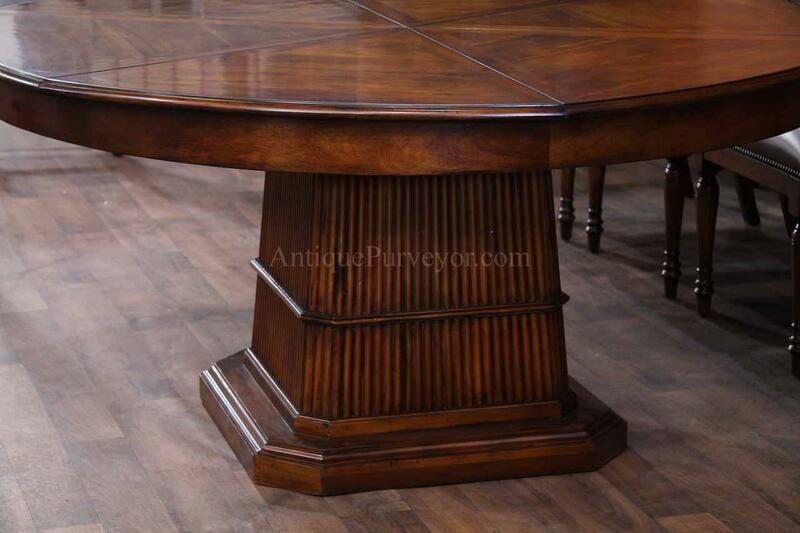 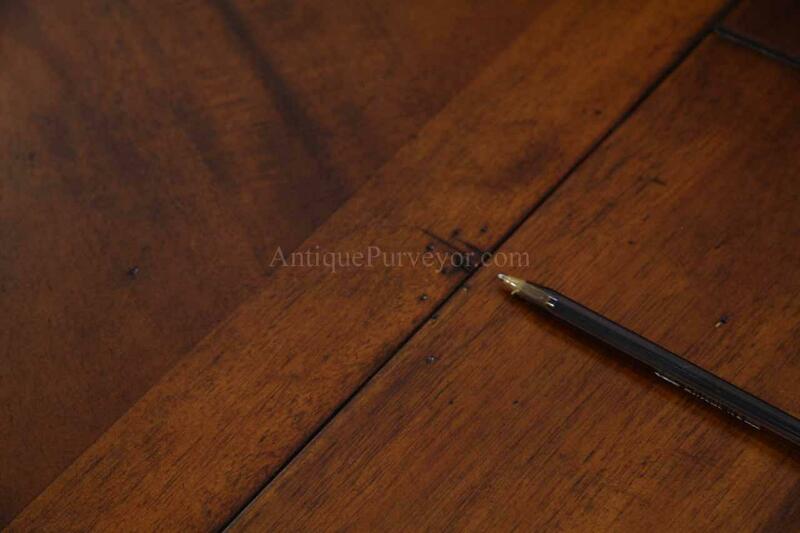 Factory distressing makes this a great table for the active family. 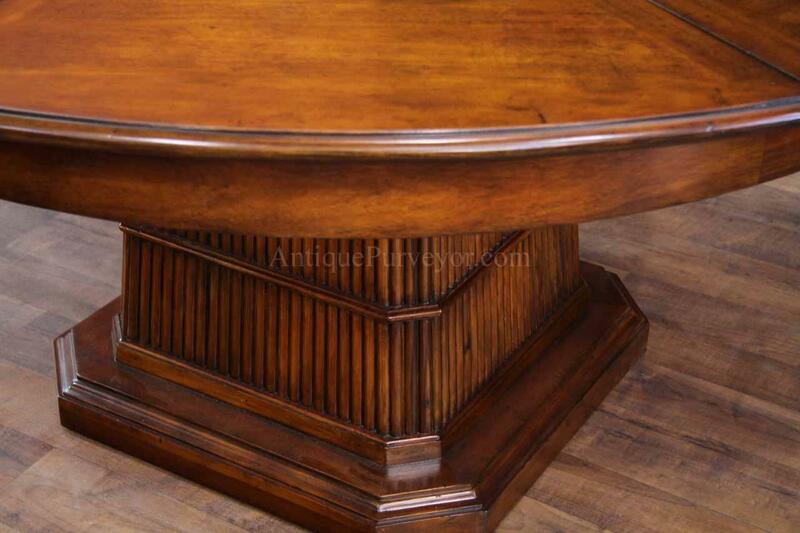 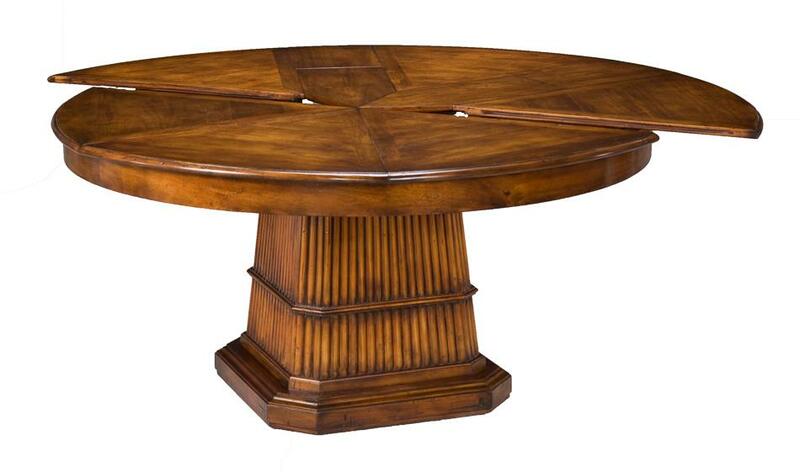 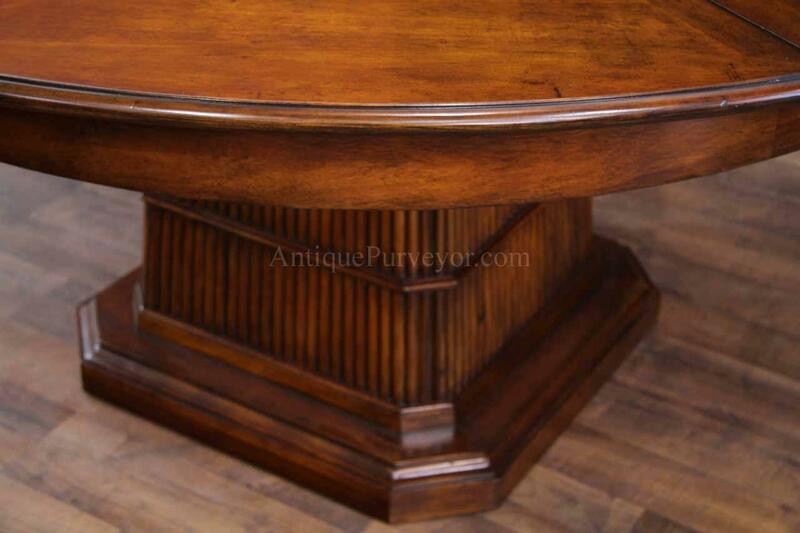 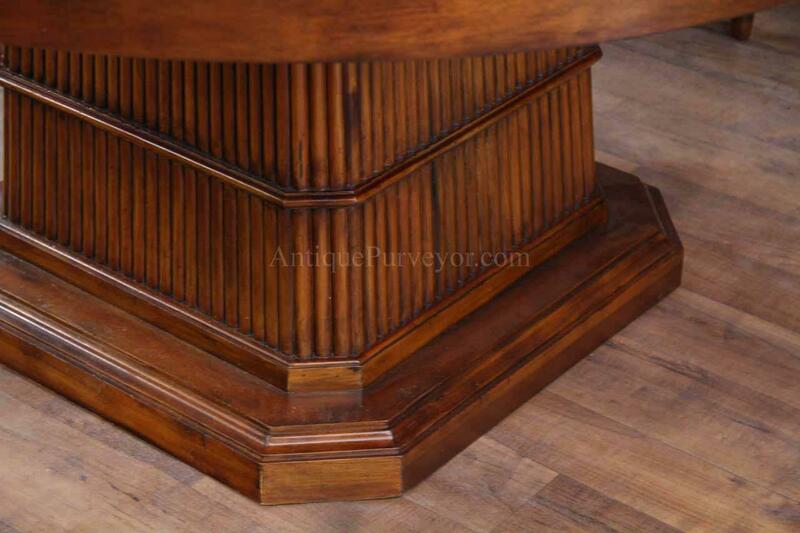 Bamboo style pedestal base coordinates perfectly with Chinese Chipendale decor, or for the tropical theme. 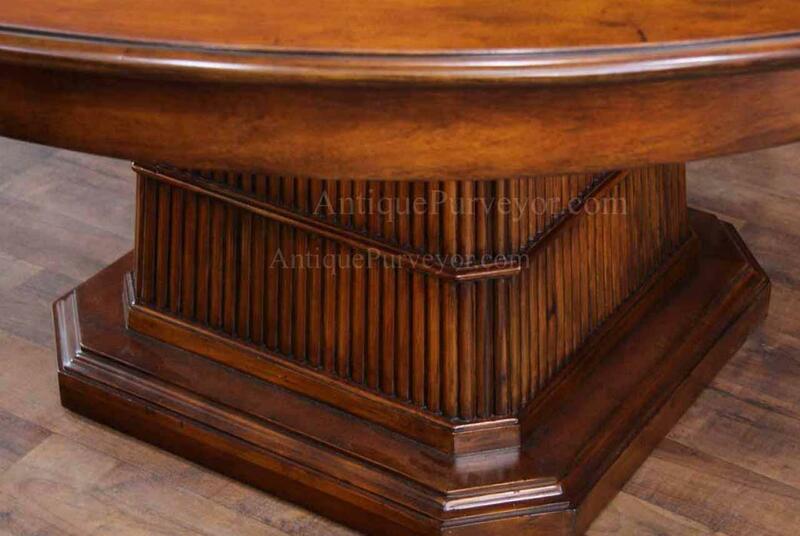 Great find for the beach house or country house. 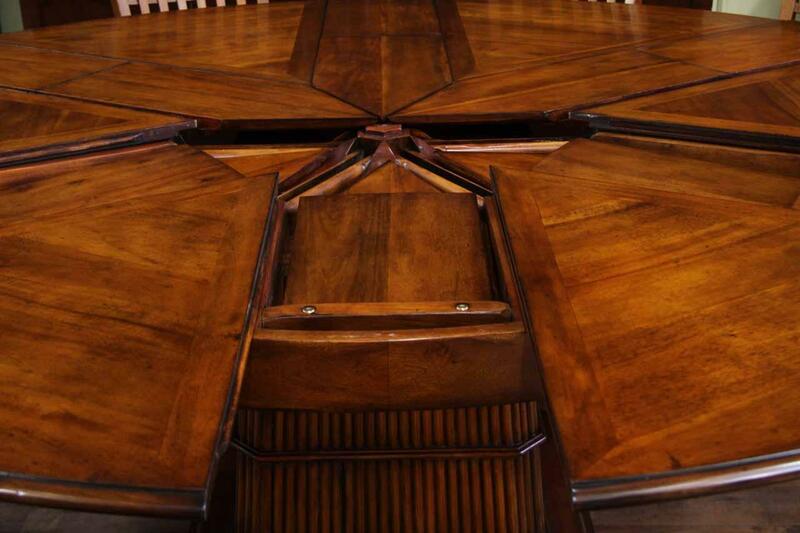 The table has leaves that fold in half and tuck away into the center of the table. 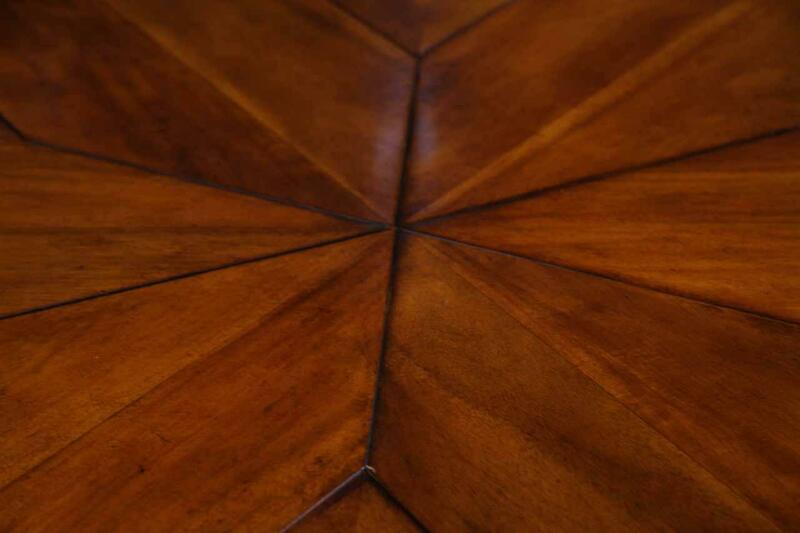 Leaves have recessed quality hinges for great performance. 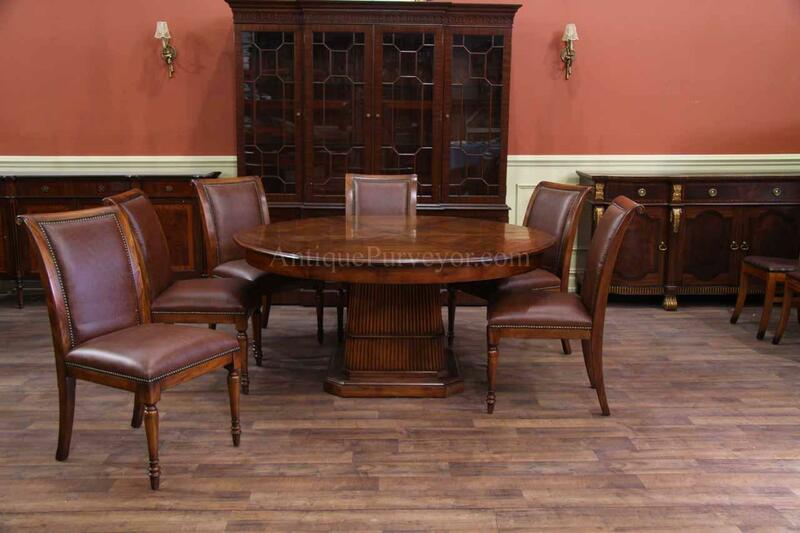 Overall quality and price point is second to none. 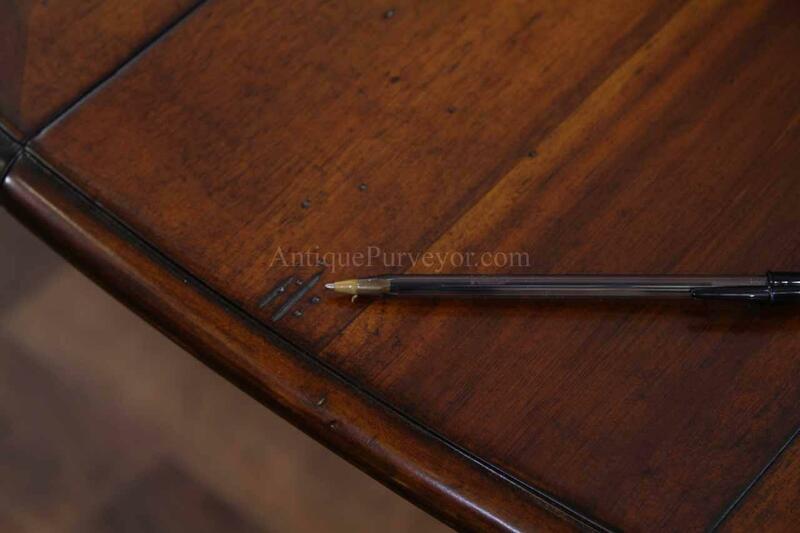 Finish has a caramel brown color and pictures show true color. 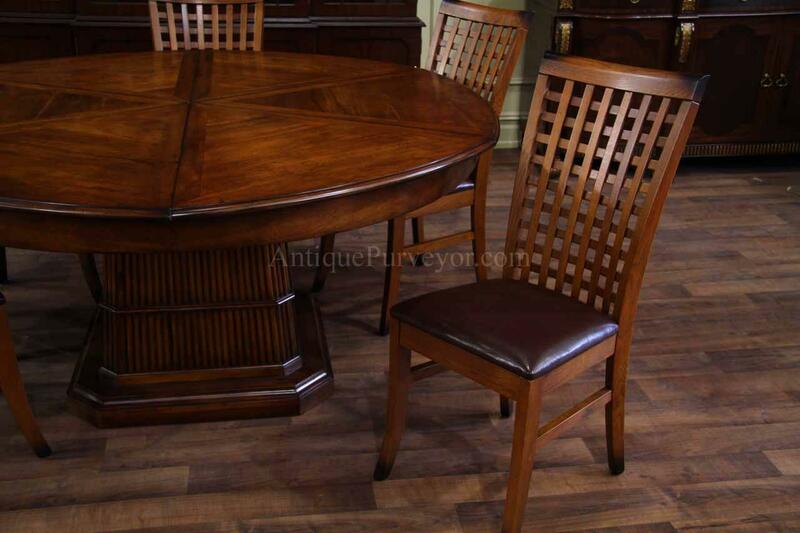 Solid birch dining chairs with faux leather seats in a transitional or tropical design.